Mix dahi, namak and sooji with 1/2 cup water. Cover it and leave for 2 hours. Finely chop adrak, pyaj, hari mirch, tomato and dhania. Mix lal mirch in batter. If you do not want to add lal mirch leave it. Heat a non stick pan/tawa and spread 1 tbsp batter on it. Cook at low flame and grease it on the corners and turn it to cook the other side. 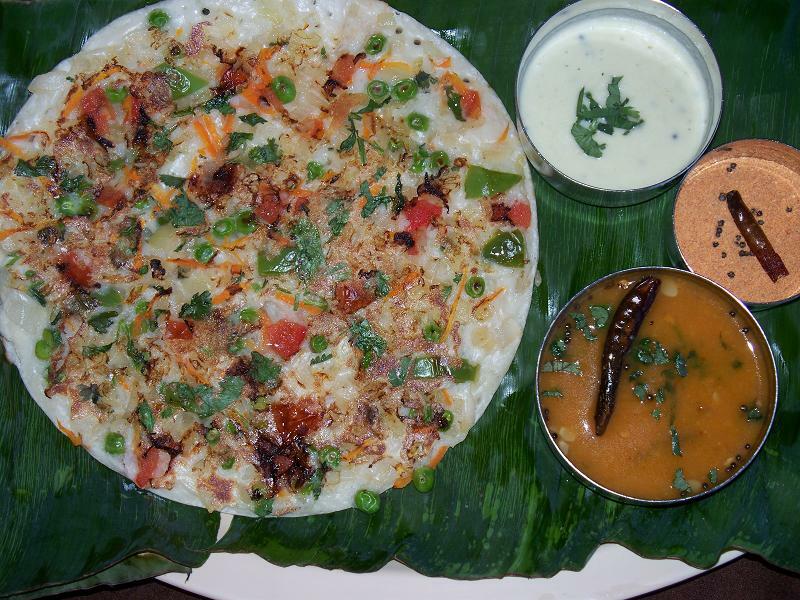 If the batter sticks on a tawa, add little salt to the oil and grease the corners so that uttapam will not stick on tawa. Cook it at low flame to make it tastier.